Bedbugs are oval, small, brownish insects that live on the blood of humans and animals in Singapore or any other part of Asia and the world. They get a reddish color after feeding as their bodies swell. 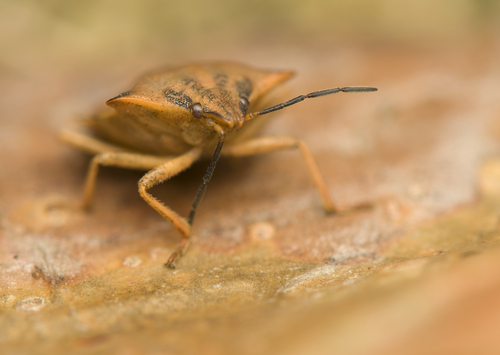 Although bedbugs do not fly, they tend to move fast over walls, ceilings, and floors. So here are 6 things bedbugs hate. Clean curtains, linens, bedding, and even clothing in hot water and then dry them on the highest setting of your dryer. Put some shoes, stuffed animals and other items that just cannot be washed in your dryer and then run on high for around 30 minutes. To remove any bedbug and its eggs right from your mattress seams, a stiff brush will do the job before vacuuming. In addition, you have to vacuum the bed and its surrounding areas on a regular basis. Put your vacuum cleaner bag in a garbage can outside the house after vacuuming. Use a woven to cover your box springs as well as your mattress, and then use a zippered cover in order to keep bedbugs at bay. This cover must be on your mattress for at least one year in order to be sure all of the bedbugs are dead. It is important that you glue down any peeling wallpaper in order to remove places where bedbugs may hide. In addition, remove any clutter around your bed. Moreover, your home must be free from bedbugs if you buy a new mattress. - Pesticides must be used within the frame of your multi-part IPM Plan. - Use only pesticides registered by EPA for their use against any bed bug. - A pest management professional should be consulted before using these products. You should use an insect growth regulator in order to target the new eggs that a bed bug hatches instead of the adult population. These kinds of pesticides will stop the growth of new hatches in order to prevent them from producing their new generations. Pesticide dusts will target the adult population of bed bugs. In addition, these pesticides will dry out the waxy coat that keeps bed bugs hydrated. Bed bugs also hate contact pesticides, which kill them instantly by putting off a noxious odor. You must put clothing and bedding in your dryer at a high temperature for at least 30 minutes in order to kill any bed bug. Heat any infected article such as luggage or furniture as well as areas such as a room to 120 degrees Fahrenheit at least for 90 minutes. Remember, the higher the temperature of the heat, the shorter the time that is needed to kill any bed bug. You can even use a heat-generating device or any heating unit specially built for these purposes. Cold treatments may kill tons of bed bugs. The cooler a temperature, the less time is needed to kill any bed bug. Use a thermometer along with a freezer to kill bed bugs right away. Steam cleaning and alcohol might be a terrific combination that kills bed bugs right away. You will avoid the high cost of professional examinations and the hassle of making home remedies as well. However, bed bugs need to come into a direct contact with your alcohol for this treatment to be really effective for you. In addition, you should treat surfaces again after fourteen days. By doing so, you will kill eggs that were not killed with the previous treatment. If you do not want to damage a particular surface, test the area before applying the treatment as alcohol may damage some materials and finishes. In addition, you will have to vacuum areas you think might be affected, and then you have to wash all your bedding. Put 91% rubbing alcohol into any chemical sprayer, and then spray all the areas that are infected with this solution. If you want to avoid buying a new mattress, you should call an exterminator right away. It is a costly solution, but it is worth every penny. However, your exterminator should have plenty of experience handling any bed bug infestation. Clean your house thoroughly before this professional arrives. Vacuum as often as you can, and you can even use a crevice tool to get rid of bed bugs from the surrounding of your furniture. In addition, you want to wash the vacuum`s hoses and filter outside your home as soon as possible. If you cannot do it, use flea powder containing Pyrethrum in order to kill as many bed bugs as you can inside the vacuum. You need to use a steam cleaner to heat water to 200 degrees at the very least so that you can get a gentle steaming rather than a high pressure. You have to kill bed bugs to death rather than blow them away, which a pressure steam might bring about. If you find that this device has a high pressure, cover its head with a cloth in order to diffuse its pressure. Steam each nook and cranny of your house, and then repeat this action each and every week till you are sure there are no bed bugs. You might wait a couple of months to see the results of this action. In addition, you need to mix rosemary, eucalyptus and lavender essential oils with just one cup of water. You can throw in clove oil if you want to. Then decant your mixture into any spray bottle, but you must also put on a pair of your favorite gloves. Spray this natural oil anywhere you might think a bed bug infestation happens, on any furniture or in a mattress.